Scholar.csl.edu is the digital library of Concordia Seminary, St. Louis. Here, you’ll find the fruitful work of our faculty, staff, and students, which is being made available for free thanks to our Generations Campaign. Step into a classroom by visiting any one of several video-recorded courses. Sit in on a Lay Bible Institute on several different hot topics. See what our graduate students (and even some of our faculty) have produced by looking through a growing number of dissertations and theses. Listen in on historic lectures stretching back to the 1950s. Scroll through our historic photo gallery to see younger versions of your favorite professor or rare photos of our founding moments. To begin your search, click on the magnifying glass icon in the top right corner. For advanced search options of our repositories, begin your search at the Collections Page. 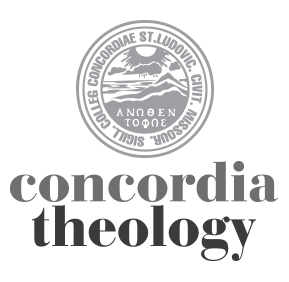 For questions about policies and procedures, read Concordia Seminary’s Library Policies.